Sharron, I so appreciated your post and the information. I know this post was made a while ago but I was wondering if you might comment on the speed of the internet where you are? I am quite spoiled where I live now with fiber and regular speeds in the 300-500GB range and I know I won’t get speeds like that in Mexico but wanting some reasonable idea of what it is like there. Can you comment? Hi Mel, sorry this took me weeks to get back to you, but Mexico can have fast speeds, but you pay for it. So, if you are willing to pay a chunk more than most locals will pay, then you can easily get fast speeds. In San Pancho, one issue in the wetter and stormier summer months that crops up has been power issues… so if you depend on internet for work, you would want to talk to locals about connectivity—I am not sure if it’s gotten any better in the past few years, but I know that there were sporadic summer power outages back in 2013 to 2014. Looking to relocate ( long term rental ) Chelem, Churbana area of Yucatan. Any insights? Hi Jude, thanks for writing. Unfortunately I don’t have any experience in that area. I suggest doing some searches on Facebook for expat groups based in the Yucatan as they will be your best resource! I was there for vacation the past couple weeks…check out Yucatan Beach Friends on Facebook.. They can give you tons of information on staying there. How are beaches in Sayulita for swiimming? Rough surf is too dangerous for me. I liked the calm bay/surf in La Manzanilla but would like to explore other towns.Sayulita sounds promising. Ideal would be apartment with swimming pool. Are there any apartments with pools in Sayulita or San Pancho that are also close to the beach? Sayulita has great beaches for what you’re after. It’s very shallow and light on the waves in parts since it’s an inlet. There’s a river that feeds into the inlet water, and that area has a lot of pebbles, or there are sandy parts with tons of children wading and paddle boarders floating around. San Pancho does not have that gradual shallow part and has strong waves and undercurrents—you would want to be a strong swimmer in SP if you planned to be in the water regularly. There are also plenty of places with pools. I loved reading about your experiences in San Pancho. I will be taking an early retirement package in the next few months and plan on moving to a beach destination in Mexico for retirement. The area you describe sounds so perfect. As a night owl, one thing that is important to me is a bar within walking distance of my rental to just sit and chill out, maybe chat with locals or fellow expats (I am taking Spanish lessons) especially late in the evening. Is this possible in the area you stayed at or should I be looking more towards Sayulita? I’m not looking for fancy, just a good relaxing atmosphere. Hmm, I don’t think SP is the best place for a night owl. Although there are some bars that get hopping during the high season, it’s not a late hours place and it will be fairly dead in shoulder and off season. Sayulita might be a much better fit—it will have its own happenings, and it’s still a chill town but it’s 20 minutes closer to Puerto Vallarta where you could surely go if you craved a bit more activity occasionally! I live in Puerto Vallarta. My income is fixed and I am at the upper level of poverty. These are my expenses that I banged up to plan my New Year’s budget. My income is 70000 pesos per month and I generally scrape by the last several days of the month. My costs are moderate and honest. My budget is a get by budget. Note… I live directly on the beach in the Mexican part of town. I have a small two bedroom apartment and have to walk up the steps to the third floor. I share a washer. Living next to the beach one must get used to the thunder of waves, people going by, music from bars and so on. But I figure, if I am going to leave snow, this is part of the price to pay. 20000 per month for my wife and I. We shop at Walmart or Leys. When we need milk etc. we go to Oxxo which is like a 711. I can’t find a Mexican Market which is near enough to walk to. Our water is delivered a couple of times a week for 200 pesos. We eat out when we go shopping about once per week. We do not drink. We have two air conditioners which are essential. We also have ceiling fans. We have internet, telephone etc. about 400 pesos per month. I am Canadian but live in Switzerland and I travel about once per year. This is about 5000 per month. Note that when you move to Mexico, you will still have costs in the place you left, I.e. taxes etc. do not forget to add these. I figure my costs are about 5000 per month. I have medical insurance and drug coverage for 80per cent. I pay about 5000 per month. One could take busses, but I prefer a taxi. This is about 1200 per month. I have a cleaning lady to help three times per week or 4000 per month. Thanks gor the info! We are an American lesbian couple living in Thailand. We love it here but the lack of gay marriage recognition is a major pain for Visa arrangements. What are the gay rights like in Mexico? We have considered the Yucatán as a possible next stop. Hi Mimi! I am far from an authority on this topic, but the Yucatan in general is among the more progressive areas of Mexico and I cannot envision you facing major challenges. There are legal protections in Mexico for gay rights, and the Yucatan has a fair share of expats (a huge amount to be honest), so your day-to-day would be one of acceptance from what I hear. I know that some gay travelers have spent time there, like Dani from Globetrotter Girls, and it might be good to seek out their thoughts on it. There are some very conservative areas of Mexico though, so I would not extend whatever you find out to apply across the board. Best of luck! Shannon, love your writings. My wife and I are planning on becoming snow birds next winter. Hi Shannon! Thanks so much for all the great info! What are your thoughts on Baja California, Cabo, Ensenada and Rosarito? Is cost of living comparable to PV? Thanks in advance! Hi Evy, that’s a tough one as I haven’t lived in any of those places, nor do I have friends who have. But there are several really great Facebook groups for Mexican expats, and a lot have explored the west coast extensively. I would research in those groups for things people have said about each town, and pose a question to the expats if there isn’t much—they will undoubtedly have some great thoughts for you! Hi Shannon, Your site is great and very interesting. I lived in Chapala, Jalisco for 2 years and my wife and I are looking at moving back this winter. Chapala has changed so much that we are looking around at other possibilities. We definitely want to check out San Pancho but my question is about the weather. The great thing about Chapala was it never got really hot or cold. How do you handle the heat? Is it really humid in San Pancho? Thanks so much. Hmm, it does rain a lot in the summer and it’s very muggy. There are certainly some people who live there year-round, but I also know a good number of expats tend to head back to the states to visit in June and July. I haven’t been in SP in a while, but in 2013/2014 the summer rains would occaisionally even take out the power in San Pancho, but not nearby Sayulita. I am a native Floridian, so I am probably a bad person to advise on how tolerable it is there during the hot/wet season since I have a pretty high threshold. But suffice to say it’s not going to be like Chapala. It can be very cool in Dec/Jan, but it does get humid and warm by July! Thanks for this post! I have learned some things that are very helpful. I hope I can visit many of the places you have listed here. I do want to ask, have you been to Acapulco? What are your thoughts about Acapulco compared to Oaxaca? I have visited there a few times, and I love it, despite some of the negative parts of the city, and state of Guerrero. I personally love it there, have met some wonderful people, and have not ran into any trouble. I’m definitely going to follow you here. But, I always mention this to travelers when I run across good content, check out Steemit.com. I don’t mean to spam by any means, but I think if you check out the travel blogs there, you will see why I mention it. 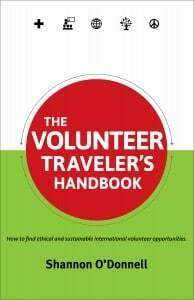 I found your blog because I was looking for more info on how to manage the tourist visa. The longest I have stayed is 10 days, so thanks for your tips! Visa should be no issue at all if you have a U.S. passport, and I haven’t traveled to Acapulco. I have to say, the issues in surrounding Guerrero have made it a no-go for me. I know that many say it’s safe to fly in and out, but the surrounding instability make is so I wouldn’t feel securing knowing I had a base that I could return to year in and year out. Great column. I lived in Huatulco on the coast of Oaxaca from 2004 to 2007. 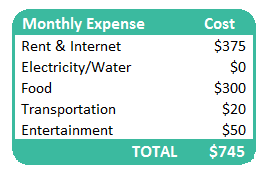 I found my monthly expenses were about $650 US: $230 US to rent a furnished apartment, maybe another $70 for monthly utilities and internet. I ate out at least one meal a day, went to the local movie theater and rented DVDs every weekend, and generally had a relaxing, quiet lifestyle. I’ve been working north of the border since 2007, but my goal is to retire are age 55 and go live in Mexico on my pension. I’m sure prices have increased since then, but I think it should be quite doable. Im from Houston.. I was wandering if you think there may be opptys for americans to live there & get into a little business or sell real estate & if so where do you suggest would be the ideal spot? My dream is to travel the world in 3 years, I was planning to travel with my husband but unfortunately our relationship ended recently. I guess now I am a new solo traveler.!! For my first solo trip (it iwill be only 2 weeks since i am still full time working) , i need a mixture of quiet and safe place to rejuvenate in jungle or a tropical environement for maybe a week and then another week near a quiet beach to relax and visiting the area. It could be 2 different places in the same country. I am thinking of Mexico or Central/ South America or Carribean. (I am Canadian) . It will be my first time solo, so I am scared to start but I need to break the ice. I could deal with local travel agency as well. If I could meet expats on my way it would be great ! 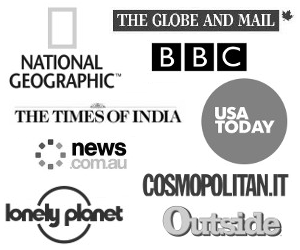 Do you have any idea where I can go or refer me to interesting blog or websites ? I am lost on the Web (too many web sites) . I am a 55 years old woman, I speak french and english. Few words in Spanish. Hi Diane! So glad that you’ve found my site helpful as you plan your upcoming travels. Your first solo trip is a biggie, and I understand your hesitation to dive in when there are so many sites and so much information. Mexico or Costa Rica could both make for exactly the type of experience that you are looking for. As a first-time solo traveler, there are some parts of Mexico that you might want to steer clear of as navigating well takes a bit of travel savvy that only comes with time on the road. For that reason, I recommend that you look to the Yucatan — it has some incredible beaches, and jungles in the center with Mayan ruins… truly an abundance of opportunity and I love the region so much that I took my nephews there on a three-week road-trip (I wrote up a guide to what we did here https://alittleadrift.com/countries/yucatan-mexico/ and a photo journey of it here: https://alittleadrift.com/yucatan-mexico-kids/). It was really a wonderful experience and I know I would have equally enjoyed that route solo. Shannon, do you have any knowledge surrounding keeping horses in Mexico (either in the areas you experienced or otherwise?) My fiancée is a Mexican national and we are prepared to move to Mexico if things don’t work out immigration-wise in the US. I have been a horseperson all my life and if we end up moving, having horses nearby, access to riding facilities or have the ability to keep them is extremely important. I would fit right in working in a tourist-type facility, which would be ideal. My fiancée is from a remote town in Chiapas and doesn’t have much knowledge to offer. Any insights or connections? Interesting question, and not one where I will have a lot of firm ideas here as it’s a bit outside of my wheelhouse. I know that if you are bringing your own horses to Mexico then you will face a barrage of paperwork and vaccines before they can enter — it would likely cost a bit of money and be a headache, but would be fully doable. If you are hoping to buy and keep a horse, I can’t imagine you having much of an issue with that, especially in the smaller cities where there are many farms and such just outside the city. Many farmers and people on the outskirts of the city own horses, and you could surely find a way to stable a horse with a local family if your house/apartment wasn’t ideal. Then there will also be quirky situations and opportunities that are harder to find but certainly exist. When I lived in San Pancho, which is just north of Puerto Vallarta, there was a Polo Club in the town with active polo matches and such. That’s the sort of place where you could perhaps find work. Or if you look into towns that run horseback riding tours and experiences for tourists, then you would also be finding the cities in Mexico that have horses, stables, and touristy areas where you would perhaps find both work and a chance to be near horses. Some expats also start their own tour companies — find a house with a small stable, run horse treks and such for tourists in an area with pretty locations but not a lot of English-language tourism yet. Horses are still integral to the way that many Mexicans run their farms, so there is absolutely a horse culture that you can tap into once you are there. I suggest that you also join some of the Mexico expat forums and ask around. Even if you don’t find expats owning horses, many will have insight about if there are stables in their town/city. Guanajuato is a wonderful place, but I prefer beach resort towns or university towns where there’s cultural and infrastructure. Guanajuato is a very nice place I’d recommend. The small towns are economical, but most are very primitive in infrastructure and with limited activities, but you are appreciated more in those places. Certainly, smaller towns are cheaper, because they don’t have a lot to spend your money on and restaurants are more questionable. I like active places like Puerto Vallarta where there’s modern conveniences and more choices. For expats, most would be more comfortable in a more modern infrastructure. I’d estimate small town living at $1,000/mo. or less and living in P.V. 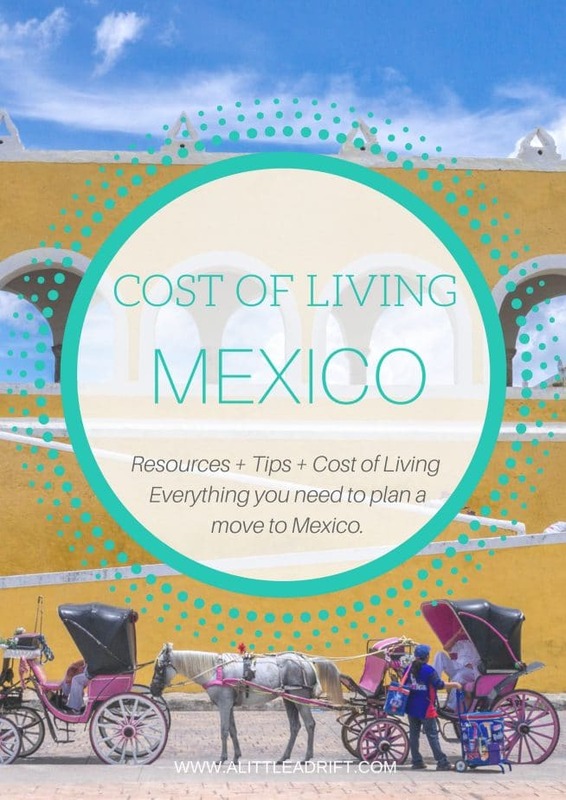 may be $2-3,000 per month depending on how busy your lifestyle may be; however, you can live cheap everywhere in Mexico given a moderate distance from the tourist centers. There may be some crime anywhere you go, but I find it much more limited than news reports announce – one tiny crime in Mexico involving a tourist is broadcast everywhere when crimes back home get little notice – so many are misinformed. Keep in mind: Tourists or expats are treasured in Mexico and get excellent protection especially in the resorts – they don’t want bad publicity and they want tourists to enjoy their visits – some places a major part of the economy is tourism and they protect that business with some locations actually having special police to assist tourists – they are amazingly accommodating if you have any incident and will assist you if any vendor cheats you, too, so you should feel very comfortable in Mexico, but avoid any cities or towns with higher crime rates. In Mexico, there’s much diversity from one town to the next, so select a town where you feel comfortable. Thank you for sharing your experiences and offering up so much detail for others who are looking to move to Mexico but aren’t sure which spots are the best fit for their situation. Like you, I deeply love the coastal areas and beach towns, although there are some incredibly charming small towns too Thanks again for weighing in! Hi Tom! Good questions. The language barrier really depends on where you move. I lived in a beachy expat town one season, and there were so many expats that it was easy to have a social life all in English if you want. But when I moved to Oaxaca, vendors and life all take place in Spanish, so it’s best to learn it. I don’t know a lot about Pachuca since I haven’t been, but I think it’s a small town with a very local feel (meaning speaking decent Spanish is ideal). You could start out living in an expat hub like San Miguel de Allende, where there is a massive community of retirees and expats, you could even take language lessons (they have a lot of options), and then use that to get familiarized and attuned to Mexico, then look at some of the smaller towns. I am looking at Alamos, Mexico because its a small town, and Huffington Post says its a nice place to ex-pat. What do you thing, Shannon? Hmm, that is an interesting question. I don’t know anyone there, but it seems like in the last couple of years there has been a bit of coverage about it (and some people saying it has a tight-knit expat community, which is a strong plus). I don’t know anyone that I can put you in touch with, but this post does link to some expat groups on Facebook, and there are Mexico expat forums too — perhaps you can ask around in there and see if members of the Alamos expat community are there, ask questions, etc before you go there for an exploratory trip. From the few things I just read about it, it hits on all the things I love in an expat spot — small and walkable downtown, opportunities to engage with and volunteer in the local community, and good local food! Hi Mauricio. I think the town that I stayed in would be ideal for you. San Pancho is small, with one store but many restaurants and a few coffee shops. There are a very good number of retirees there and nearby, so you would have a good community available. (It is called San Francisco on the map, but locals call it San Pancho: https://goo.gl/maps/HmSs22aFWeQ2 ) And near San Pancho is a town called Sayulita, which is a little big bigger and has a few more amenities (it’s only 20 minutes from San Pancho and you could use a taxi to easily get between the two towns). There is also a bus that runs toward Puerto Vallarta where there are big grocery stores and everything you could possibly need (that is about an 40 minutes to one hour away). If you go to San Pancho, you should rent a room at Robertos Bungalows (http://robertosbungalows.com) — he is an expat and the rooms are clean and very comfortable in the western style, and just two blocks from the beach. He knows everyone in town and could help you understand the town, the people, and how to rent a place longer-term. If you are looking for the other coast, the Gulf and the Caribbean, then the Yucatan Peninsula is a good choice. There are many, many expats living in the area. Tulum is one option. It is touristy but many food and drink options, expats, etc. Puerto Morelos is another option. Both Tulum and Puerto Morelos are medium-sized beach towns, not too small and you can find good food and drink options — go further down the coast to Mahahual for a much smaller town that is more similar to San Pancho — nice local feel, a few good restaurants, and a slow pace of life near the beach. For a tiny island life, Isla Holbox is one option, Isla Mujeres is nearby and bigger/more touristy if you want more development. If you are interested in smaller towns, you could rent a car and do a road trip of the Yucatan to find one that feels right for what you want. Just curious about air conditioning…do you use it? We would absolutely have to have it! I’ve heard it is pro rated mad at some point jumps way high. No, I’ve never really used AC while living there — I have never rent a place with heat and air (I am a native Floridian so have fared OK… and winter high season in some places is downright cold — I wished for a heater when it was low 40s in Oaxaca for ages). Locals though are obsessed with turning out lights and lowering the electric bill. My landlords have always asked me to be very conscious of it, so I believe that the price can be very dear. I would ask around in the expat groups for people to share their specific costs. (When renting a hotel with AC, it’s usually a tad less than double the nightly rate without it). Whe is there a “$0” in the budget for electricity / water.? I didn’t see any mention in the article about that. Do you not have power? Or is it included in your rent? Thanks. Ah, good question! Both of those were included in my rent. And, in fact, they have always been included in my rent even in other areas of Mexico. I tend to rent furnished apartments, and I think it’s less often included in houses and non-furnished places. Hi Shannon and thank you so much for your wonderful blog! Please suggest with the knowledge you have learned between the pros and cons in Thailand versus Mexico? I will do the same, in Thailand or Mexico? I suppose the best fit and comfort level with cost of living intertwined are huge considerations and I would appreciate your insight between the two countries? Thank you for your insight and always the best to you, Shannon! That’s a good question, should you choose to live inThailand or Mexico? Having spent more than a year in both countries, the both have different pros. – Mexico often gets a slight vote in favor because of the closer language and cultural similarities. And if you keep ties to the U.S., you will spend far less on flights and visits home every year, which can add up a lot when it’s more than a grand round trip every time to you go from the U.S. to Asia. – Thailand is safer than Mexico, in general. – They are both very popular expat spots. There are large communities of expats all throughout Mexico, and in a handful of key towns in Thailand. Some places are quieter spots with fewer expats and tourists, others offer vibrant and active communities of expats at every age range (not sure what type of community you are after. – For all the similarities in what type of communities you can find, after 1.5 years in Thailand, I understood that the culture gap would be nearly impossible to bridge in Thailand. Even if you immerse and learn the local language, you may never become a part of the community fully. There is a divide there. I had Thai friends, and some of them good friends, but there’s a insular nature to the community that is under the surface that I found insurmountable in many ways. And the motivations for some of the expats for being in Thailand aren’t hugely compatible with my own lifestyle. This distance was surely there and very present in every expat spot in Thailand. – For Thailand, you would need to prove a certain retirement income (you can look this up), and then it’s mostly a cinch to get the residency/retirement visa. If you aren’t at retirement age, actual residency is a tad more complicated. – Mexico is more complicated and has a far wider range of expat spots, communities, and lifestyles. There are very safe spots, the Yucatan being one of them. Merida is as safe as Thailand, and has a small expat scene, enough to enjoy but you can also immerse. Towns like Ajijic are nearly entirely Western retirees. Cities like Oaxaca offer more immersion and intercultural experiences. Compared to Thailand, Spanish is easier to learn, and in general, as I noted, I favor Mexico from a cultural point of view as a place to live — as a Westerner the culture aligns more easily and I found it more comfortable on that level. Very informative! Not sure if this applies to your case, but did you pay any one-time costs to establish residency in Mexico? Did you use a law firm? I did not establish residency, I never need to stay for longer than the six months, so I always enter on a tourist visa and then leave for months or years. I know that others who buy property do use lawyers to keep it all straight and have the ability to easily live there year round! In April I’m planning on traveling from Mexico all the way down to Chile. My current work situation allows me to work remotely and I want to really take advantage of that. Plus the fact that Central and South America are pretty much on the same time zone as the US (give or take an hour or so) makes it possible for me to do this. Otherwise I would have already gone back to live and work in SE Asia had it not been for the time difference. In terms of Mexico I was planning on flying into Mexico City, then venturing up to Guanajuato, San Miguel de Allende. After that, then making my way down to Oaxaca (Zipolite), and San Cristobal de las Casas. Initially I did have plans to basically start in Sayulita and then make my way to Mexico City. But lately I have considered skipping Sayulita and just start in Mexico City. My reasoning behind this is I look at Sayulita kind of being out of the way. Because I would have to fly into PV, then take a bus up to Sayulita….then when I want to leave for Mexico City I will have a 10 – 12 hour bus ride.I just figured I would run into just as nice beaches down in Oaxaca. Do you think this is a bad idea and that Sayulita is not to be missed? Another comment: I have read Shannon’s articles before and thought about her driving down the coastal Hwy. to Rincon de Guayabitos – laughed at her living in Asia without a stove – living economically and enjoying the important things in life and off the treadmill many are addicted to – it’s definitely an education to enjoy those experiences – though I’d love to visit with her and share stories – amazing experiences. And, for us experienced travelers with a love of cultures, even the bad stories seem to have happy endings…..
Hey there. I just got done reading your article on living in Mexico. Great article. Im really intrigued by maybe moving there now. I live in the Southeast and i love warm weather but if you have ever been to the south i winter there isn’t much sun and it can get pretty cold. Anyway i was writing to ask your opinion. I am in a wheelchair and i was going to ask your opinion on how handicap accessible Mexico is. I was wondering specifically about the cities and towns you lived in. In the winter it can be hard to get around in a wheelchair if it snows. I dont have to live exactly on the beach but living close to one would be ideal. Being that I’m disabled it has been hard for me to find a job but even on my disability insurance check it sounds like i might be able to live comfortably in Mexico. Maybe if i needed to get a job i could get one from one of the American companies moving down there. I know your not an expert on disability issues but id figured id ask you anyway about the accessibilty of Mexico and the places you lived while there. thanks for the info and your opinion. take care. which is the best beach town in mexico to live with fast internet ? Hi Alex, it’s really a tough call, they all have internet. PV or Bucerias would have it year-round, and in San Pancho there are times the town is without power for a few days because of summer storms. My advice is to join those expat Facebook groups that I linked to and ask your question there. Then, go visit the towns and get a feel for them as you might just like the vibe in some better than others. I own a condo in Vallarta, and have for years, my plan is to move there before I’m too old. I love Mexico, for those haters in the US, they have no idea that unlike the people in the US, they are not profit driven in everything they do. In fact I was welcomed to a rooftop party down on the Melacon, and I was treated like they have known me forever. The past 15 years I have been going back and forth to Puerto Vallarta, they have a love of life that US citizens don’t. Thanks a great point James, there is a completely different vibe once you get to Mexico. They have a sense of community that isn’t nearly as pervasive in the U.S. — I can completely understand why you plan to make PV your base. Does any one tell me about staying in new mexico state in view of following points? 1. How much money would be required per month for family (per three members)? 4. Expenses (i.e. house rent, food, transportation and entertainment) as compared to other states in USA. Hi Raj, living costs in New Mexico in the USA will vary a lot depending on where you decide to live (city or rural). Generally, New Mexico is far more affordable than living in states like California or New York. For an idea of costs, I recommend that you look up rents for apartments or houses using a site like Zillow (http://www.zillow.com/). That will give you an idea of the lowest and highest possible rents, and you can then scale up from there depending on where you fall on the spectrum. Good luck with your research! That’s a great video. And Lo De Marcos is a bit further even than my town, and it’s the distance from Puerto Vallarta that also helps keep the costs low. During high season it can be hard to find really affordable rentals anywhere, but if you time it right (at the beginning of the expat season, which is Sept/Oct) then you can surely find affordable places that you can negotiate for a good price since you’d be renting long-term. Best of luck! State of Veracruz with the Aztecs / Nawatl is nice – mountains with awesome views of Pico Orizaba. Sonoran desert has its charms – views of distant mountains, saguaro, crunchy sand , Sea of Cortez, cheap living in small towns such as Ejido del Desierto….if you don’t mind the occasional shootouts between the Coyotes and Cartel. This is great stuff. I’m not really looking into beach towns, but I am looking into a move to Mexico and have checked out Guanajuato, SMA, Dolores Hidalgo, and Zacatecas. Thanks for this. So glad you found it useful! I’ve only traveled through Guanajuato and SMA, but I know several expats who split their winters between SMA and Oaxaca (Oaxaca is where I wintered last year for six months). This is such a wonderful post. Thank you! 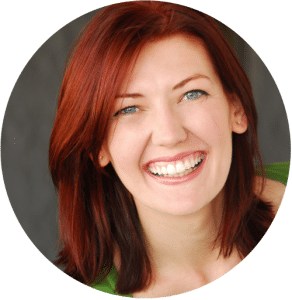 HI Shannon, First of all, i love you’re blog/website! Thank you so much for sharing all of your stories and information. My family and I are planning to travel to Mexico for a while (we are from Canada) and i have a question i hope you could answer for me. Its one i simply cannot find a concrete answer to. In Mexico, how did you wash all your veggies and fruits?? Did you use the “solution” that “disinfects” from the commercial grocery store? Why do people use it? I know you should rinse with sterile/bottled water…..but other than that, do you really need to do more? I have a 3 year old and 1 year old, so i am worried about their health and want to make sure i take the right precautions. Please, please let me know your advice on this….Thanks so much!! Look forward to reading more of your posts. Hi Kate, I am so glad that you have found the site helpful! Good question on the soaking. Yes, I soak all of my fruits and vegetables in Microdyn, which they sell in every single store in Mexico that also sells fresh fruits and veg. It’s very common across the country and even locals do it. I just left Mexico yesterday, I was living in Oaxaca for 6 months, and my local landlady was adamant that I soak my veggies. She even watched me to ensure I was doing it right (she didn’t believe me that I knew the process! :) ). The water in many places isn’t clean, and the way they treat produce is also very, very different from back home. Veg is transported in open air trucks, it’s stacked in fields with animal poo, fertilizers, etc. And it’s rarely washed before it arrives into the shop, vegetable stand, etc. The thing is, when they set things on sidewalks, there is no telling what else is there. There are no “curb your dog” rules, so I was always dodging dog poo, trucks pull up onto sidewalks and leak oil. Then there is the question of how clean the local water supply is. Right next to the Microdyn they also sell family-size packs of deworming/de-parasiting medicine. For your little ones, I would recommend that you use the disinfectant at least for the first few months and watch your consumption of tap water. Give them time to get used to the local bacteria. I disinfected veggies the entire time and always do in Mexico, but after the first month I usually go lax and brush my teeth with the tap water if I am in a city that has decent water supplies. Great explanation! Thanks so much! And i appreciate the super-quick reply! Hi Shannon, with the tap water being what it is in Mexico, did showering cause any problems with skin or hair ? No, it’s not that level of bad in most places. I know some expats who even brush their teeth with the water eventually, although most tend to long-term drink only the filtered and clean their veggies with the iodine drops. Unless you have existing issues you are concerned about, I have never once had problems with skin or hair due to the water. I live in Alamos Sonora and my budget is lower since I bought my home with 1/2 acre for 38,000. 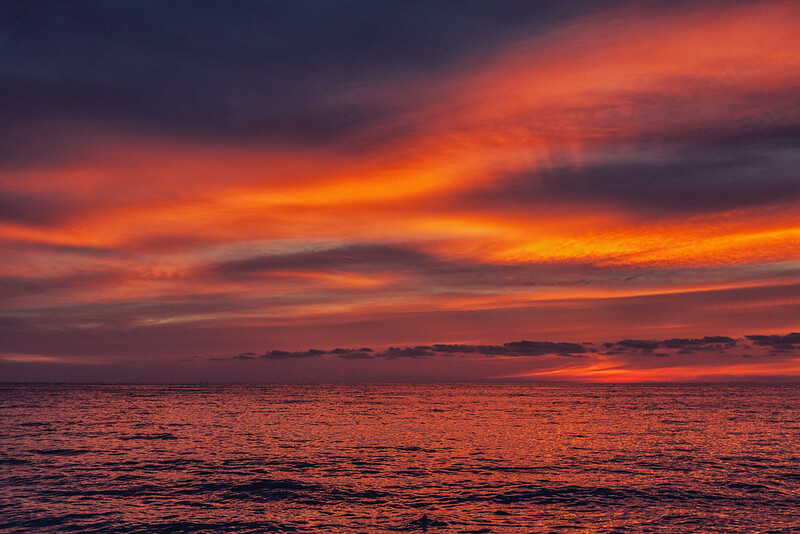 I have been to the Puerto Vallarta area and there is definitely more to do beach wise. Alamos is colonial and has lot of events, the music festival being the largest. Cobblestone streets and 300 year old haciendas and lots of trees and flowers. One aspect that is better than southern Mexico is I can drive north for 8 hours and be in the US and another hour more to Tucson where I can use my medicare. I only post this not to promote Alamos but to illustrate the diversity of living styles in Mexico. Thank you for sharing Tom! That sounds like a great spot. I am in Oaxaca right now living and it’s intriguing how some of the quality of life is different in the various areas of Mexico. Being so close to the U.S. is really a big benefit, especially on the healthcare front. I haven’t ever looked into that area that you’re in, but I will! Alamos looks a pretty place from what I’ve seen online. I’ll have to go check it out. As for using your Medicare in the US, do you also continue to pay the Part B then since you do seem to use it? Or do you just bank of the Part A? Do you also have some IMSS or SP in Mexico? I’m planning on retiring in Mexico early the year after next. I used to go to Rio Caliente, a wonderful, kind of health spa (Primavera,Jalisco), which I loved. It was unpretentious and affordably priced, and some ladies I met there would come down for 3-6 months at a time ( two swimming pools, underground steam room, yoga, great vegetarian food) a perfect getaway from Southern California at the time, where I taught ESL for the L.A. School District. This wonderful place closed before I finally retired in 2012, and I’ve been looking for a similar Mexico destination ever since. Would appreciate any info about something similar. I wish I had some better recommendations for you, but I don’t the country as well as some other expats. I would suggest asking this question in the Facebook and forums I mentioned in the post — these expats will be an invaluable source of help in finding a new spot with those qualities. So glad you found it useful, and congrats on the pending trip! February is a gorgeous time of year in many areas of Mexico, so you can’t go wrong pulling the trigger then. Although this was very informative, did i hear you say you HATE Mexicans?? At the 3:47 mark I clearly heard that. Hi, love your post. Are you still living in Mexico? Hi Patita, I’m not living there right now, but I still spend a good amount of time there. I returned last week from some time in the Yucatan. HI Shannon….I so enjoyed your informative article on San Pancho that I decided to locate this one-street pueblocito on the map….Hard time there. There is a quite large community of that name, but it is a 2hr+ drive from Sayulita…and very much inland…it doesn’t fit the San Pancho you lived in…Is San Pancho ‘on the map’? If so, to which side and at what km distance is it fom Sayulita? Gracias! Thanks for the swift and spot on reply! I’ve got an eye on the environs via Google street view…. Hi again…I hope that it is not inappropriate but I would like to reach out to you as an initial information resource… I am presently planning to go to San Francisco/San Pancho via Puerto Vallarta. My stay there is projected to be for 6 months. I have a few ‘logistics’ questions that I’d like to present to you. First, what would be the easiest/cheapest transportation solution from PV airport to San Pancho? Secondly, once arrived in SP, I would like to find a place to reside. In your article, you mentioned staying @ a more hotel-like setting while you searched for a more long-term, economical (and personal) place. Any acquired advice or suggestions here would be much(o) appreciated! Airport to SP — cheapest is the bus, by far. Taxis are going to run you a fair bit more. The bus makes a number of stops, but it’s not so bad. I had a friend who luckily was able to pick me up my first day, but after that I made the trek into PV via bus frequently. Your accommodation will also perhaps be able to arrange a taxi pick-up for less than the going rate if you reach out before you land. Accommodation: There are three tiers, a hostel if you want the shared-dorm but cheap. Above the hostel is an affordable, very nice guesthouse. Or Roberto’s Bungalows is boutique and great. 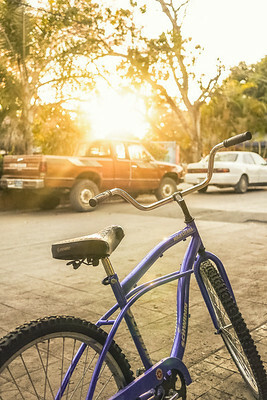 Links are: http://hostelsanpancho.com, http://refugiodesol.com, and http://robertosbungalows.com — those are all great options in town to get you started and from there you can rent a bicycle for the day or walk around town and you will see many signs for rent. You can also talk with local expats and ask around. With above average Spanish, you will have no problem finding something in just a few days, especially if it’s low season (get there before November). Work: There are definitely places that hire expats, though it’s under the table so you will definitely need to be there. I know for sure that some friends worked at the mid-range and high end restuarants in SP or Sayulita. A few expats also taught English for a small stipend at Entre Amigos, the community center. For work and living, it really will be so much easier on the ground. It’s a very small town, the expat community is super supportive and you will see it’s a cinch to get the lay of the land and get settled in. Places like Darjeeling have great tea and food, and then live music throughout the night. SP is more low-key than Sayulita, but there is usually something to do 2-5 nights a week depending on the season, and then you can always go to Sayulita if you need more. Hi- I would love to live in Sayulita as a 49 year old ex surfer. I do need to work though, are there any services that help get mail from the states? I need that for my biz. I would love to learn Spanish and get into Yoga! I guess I would drive down in a van with my stuff. SMA sounds great too, maybe when I am older. There are services that do sort your mail — they all have pros and cons and can get pricey. Many will allow you to have a US address and they will scan and send you documents, mail it out, etc. Look at Earth Class Mail and its rivals, and also perhaps ask in some of the Mexico expat forums, they should have a good deal of information for you on that transition! Good luck, I really love that area of Mexico, it’s a sweet little spot. i need a travel companion…..
Glad you are considering some unconventional places for retirement. Mexico is close to the U.S. and thus family, which made it high on my list of expat places. In Thailand, though I truly love the country and the people, the politics were a big reason that I decided not to make it a long-term home. Sorry.. And what are some ideas of jobs and what can you do if you don’t speak the language? I know that some of the expats worked at the local restaurants, but really most of all of that requires a decent bit of Spanish because their are a lot of locals in the area shopping and eating. I work online, so I was able to do my work from home and just enjoy the place without looking for work. I would suggest a language immersion course if you plan to work in Mexico. Where did you look for places to live? Were there houses posted online or did you just go there and look around? It’s a lot easier to find an apartment once you are there. Buy a week at a guesthouse so you have time look around. Or consider getting a real estate agent to show you rentals when you are in town. This post has some links to other forums for research too. If you don’t speak the language then I would consider either going with enough funds to cover you while you learn it at one of the language schools, or if you have the money you can buy a business perhaps. The only expats I knew who didn’t speak the language were retirees who ran tourist-focused things like a coffee shop or guesthouse and they had bilingual staff. Good luck! Glad I found you. The U.S. is getting very edgy, losing our rights, realizing how corrupt the govt is, the courts, etc. are…..I will be investigating Mexico for a couple of weeks…to get a feel. I’m also an ESL teacher, so perhaps I can make a bit of money in Mexico along with my basic income stream… Thailand seems a good choice, but not sure of the stability of the govts there. Anyway, many thanks for your info and all your great ideas…(I’m 65, in good health, and travel, relocation does not scare me)…. Great post Shannon! We just spent 3 months travelling around Mexico, and loved it! We stopped in a few beach side towns like Puerto Vallarta and Playa Del Carmen for a few weeks, because we love being by the water. We did the same in San Cristobal and Oaxaca, because the food is incredible and we are huge foodies. Do you reccommend sites to find an apartment with internet in San Pancho or other cities you recommend? You know, it’s a lot easier to find an apartment once you are there. I recommend picking a town and then buying a week at a guest house so you have time look around. Also consider getting a real estate agent to show you rentals when you are in town. This post has some links to other forums for research too. Good luck! How did you find that apartment? is there a place to look online or do i have to go there and ask around?? Though there are places you can look online, you can find waaay better deals if you go there and look around. They also have real estate agents who will show you rentals if you have some specifics you’d really like. Thanks a bunch! I’m planning on heading there in August! Just returned from Tulum Mexico and found it so utterly charming! I’ve decided to look into moving there for part of the year. I’d like to find a affordable rental in town (not in pricer beach area). Any advice on locating a place online? Thanks! That’s a tough question! I have heard wonderful things about Tulum, and I know that tourism is big there, but for the most part, I have found that you get the best deals when you are there in person. It’s hard to negotiate and know just what you are getting online. But you could also ask around in some of the expat forums I linked to in the post, they will have a good idea of the best options in each region — you might even find some fellow Tulum expats on those sites! Hi – I am in the same boat, looking for a nice Mexican beach town to move to. I am leaning towards Sayulita. What did you decide? I really enjoyed how informative your expose was. 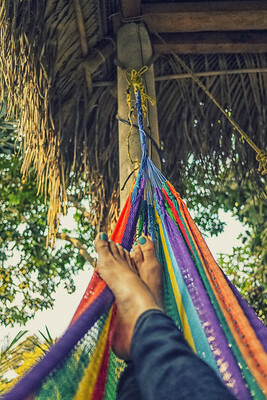 I am a retired late 60’s Canadian senior lady, who is thinking VERY seriously about living a quieter pace of life, making new friends, enjoying the nightly sunsets, helping out people through volunteering, learning Spanish,Yoga and Meditation, spending time having a siesta in my hammock and learning to cook the authentic Mexican foods. Taking part in all the festivals, parades, musical performances, etc. To be honest it’s hard to know where to start, with all the legal paperwork, the right Visa, health care, how I will receive my pension cheques there. When and how to find a place to live (Studio/1bedroom/Casita). I don’t drive so that’s only one thing I don’t have to consider. I’m definitely going to search out San Pedro. I love the ocean so hopefully could find a smaller possibly Colonial town similar to San Miguel which is a little larger, but really sounds so beautiful in many ways EXCEPT no ocean for swimming or sand for walking along. Mexico could be such a great option to have the type of life you describe but for a fraction of the cost of living in a North American beach town elsewhere. There is also a huge retiree community in various areas of Mexico, so it’s really worth digging through the expat forums and asking a lot of questions. There is no telling which town you’ll like best until you go and visit, but a lot of that is easier to do in person (finding the casitas) and getting the vibe. No need to worry about how to receive your pension checks. You can continue to have them deposited into your Canadian bank account and simply withdraw the money using your ATM card from Mexican banks. I’ve lived in Mexico for years while using my U.S. bank account. (If your bank charges an excessive fee for foreign withdrawals, find a bank that doesn’t. I use Schwab, which refunds all my ATM fees at the end of the month). Hi Shannon, I am sorry to say that I am not sure of the salary, I know that the visas and everything are different if you plan to work there. You would likely have to know Spanish fluently—perhaps you can contact hospitals in the area and ask them for more information. Best of luck, it’s a gorgeous area! Could a Canadian live & work in Mexico? I believe you get the same visa situation — six months and then you have to cross the border and can come right back in, but you would want to check. As far as working, you surely can but that would take a different kind of visa and a speciality or owning a job. I would google and try to find Mexican expat forums, I have seen a few around and they would be able to answer a lot of the more technical questions! Goin’ back soon. I’ve been to Mexico countless times , including Sayulita. Your take is bang on. I had an all-inclusive hotel in Puerto V. but after an afternoon in Sayulita, bussed back, grabbed some stuff and returned for a few days. Great town, awesome vibe…beautiful and full of great people. me and my fiancée are planning on moving to mexico with our children. so where is the best place to raise a family? we have a big family together so it needs to be an affordable but safe place to raise a family. I have been looking around but aint had any luck so was wondering if u could help me out. I love your article on Mexico. I have been to the Puerto Vallarta area three times now and will be back in Jan 2015, this time for a month. I love the area, culture, people, etc………… I could go on and on lol. What I find funny is when you tell people who have never been to Mexico they look at you as if you were exaggerating the experience. And then they go and realize that you weren’t. Of course each persons experience varies depending on their own expectations going in but for the most of people, I think it’s about the same. I love the example I heard about the violence down in Mexico. Having it so far away from PV. The saying goes, you wouldn’t stay away from Chicago if you heard there was a murder in New York. Or something along those lines. I personally love it there and will be retiring there, in the not so distant future. No problem. I have been looking for a cost breakdown in the area and have only been able to find for the cancun and Playa Del Carmen area, which I haven’t been to, yet lol. Any plans on being down in PV area in the near future? Been reading of the above lately. My daughter and grand daughter just visited Colima, Pascuales for 6 weeks, and they love it so much!. I would like to move there since I am retired. What do you think of a $2,000 monthly that I have? Will this be enough? I need places to volunteer . I am a registered nurse and would like to put this to use as well. What do you think? Hi Martesa, it’s hard to say if your money will be enough, it really depends on cost of living. In general though, yes, $2000 is a good monthly amount most places in Mexico that are not the bigger tourism spots (Cancun or Puerto Vallarta). That’s a very good stipend. Plan on spending a bit more than that the first month to get set up, and then you could surely make that work with a small place most anywhere. Good luck! Great post. Mexico has moved up on my list of places to go and especially now that I’m thinking of moving abroad for a while. I also speak Spanish (not fluently, but not basic either), so mexico would be a more logical choice for me than Thailand in that way. Mexico is a great place to live and learn Spanish, and knowing a bit of the language makes such a difference in feeling like a part of the culture. It’s also a lot cheaper to get to than Thailand! Well that depends where you’re coming from. Ticket prices from Belgium to both are about the same. Of course it does depend a bit on when you want to fly. I’ve lived in both Thailand, and Puerto Vallarta, and I would live in PV long before Thailand. Would you mind sharing some information on career choices that allow you to live abroad and work? That is, if you don’t mind sharing. Perhaps it’s come up when you talk with other expats you meet as well? I’m very interested in a career choice that would allow me to live like this! Thank you for your time, and for the awesome blog! Thanks for sharing, very helpful posts! Any small towns in the Yucatan you can recommend? Playa del Carmen is popular with expats, though it is a good deal larger than the town I was in! Perhaps you could start there and find a small town nearby but still accessible to the amenities in Playa or Cancun. Been single for a long time. Just looking for a different life. Can only afford this much for a new start. 50 and looking to be happy again. If you really think this is the answer, I await your reply. if you are currently in Chiang Mai I would like to meet you. Hello, did my comment get posted? I just got to San Pancho and might look into a long term rental as well. Any idea where I could start to ask? Hi Shannon! Wanted to stop in and say hello from San Pancho! Love your blog and have started one of my own, Los O’Gradys in Mexico. Have also had the joy of getting to know Erin from New York from the wonders of online communications! It was a pleasure meeting you when you were here in our neck of the woods and hope this finds you well! Looking forward to making my way through your awesome posts! What a brilliant post! I’m a Mexican living in London. Last year I went to Puerto Vallarta and Sayulita for holidays and I loved them! Next time I’ll make sure to visit San Pancho :) Excellent attitude and great experiences. I also like that you have no silly prejudices, I know Mexicans with more prejudices about Mexico which is ridiculous. Thank you! I love how the rent isn’t too much more than the cost of food, that’s always nice. Anyways, great informative post! You Americans are awesome : I’m an Euro guy (older) and I’m actually *flabbergasted* witnessing the ease you have with the Internet, you have a knack for working up all the technological intricacies for creating lively , interesting , inspirational blogs : so kudos to you miss Shannon, and don’t forget to pay a visit to the *hidden pearl*of Bahia de Banderas: Yelapaaaaa!!!!!! This is an immensely helpful post. Thanks for sharing Shannon! Quick question: What’s the availability of spanish and/or surfing lessons like? Are there locals in SP willing to teach either, or would I have more luck going to a slightly bigger city? Ohh, you don’t want to know. ;) We’re really doing an insane job keeping our monthly budget under $2,000 a month for two people. I don’t think I know anyone else who does that! :S And we used to have an apartment, which is WAY cheaper than hotels here. Lol. 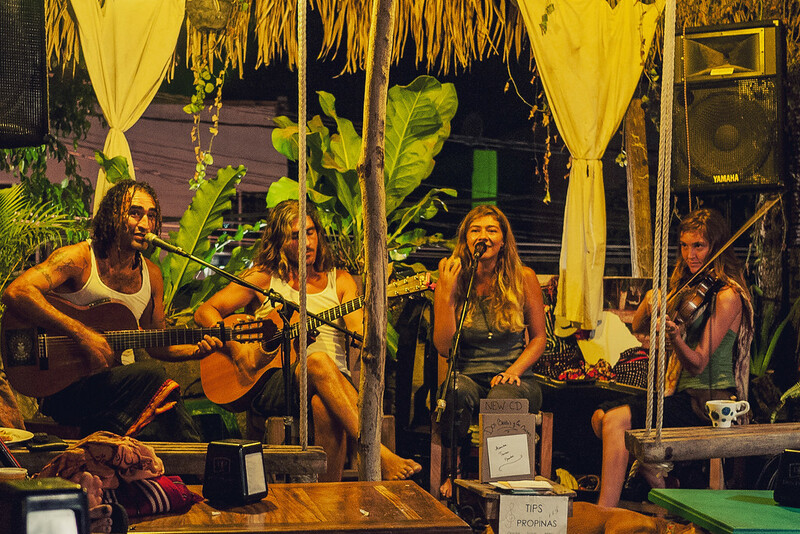 I’ve been hearing more and more about San Pancho recently and I’m pretty sure I would love it… I also did a post recently about the cost of living in Thailand/Chiang Mai and it’s by far been one of the most popular – once you realize there are places out there that present this type of lifestyle to you it’s hard to ignore them! Thanks for sharing Shannon! We’re trying to prove to our friends back home in the states that we can travel for $1000/month per person. It’s surprisingly affordable once you are in a region and as you point out–even more affordable when you stay in one place. This is so great. I feel like Mexico is calling my name…not right now, but eventually. I often find that the way – the people with the least experience have the biggest opinions, especially on the topic of Mexico and safety. I seriously didn’t encounter a single problem. I love the water in the Yucatan – it’s the colour dreams are made of and so calm (love the Pacific Coast of Mexico but we kept falling out when the water regularly tried to steal my bikini with its ferocity). If you get out to Yucatan and want some food tip (beyond the super touristy streets), get in contact! Aw, every time I read something about San Pancho, it makes me so desperate to go back! Miss you and SP. Very useful post.I think Steve and I spent a bit more, which I blame on Cielo Rojo and its incredibly tempting breakfasts. This is very helpful as I was considering San Pancho as one of the towns I was considering to go spend time in for my little writing retreat. Glad you found it helpful Marlayna, have you been living in DR or traveling? I’ve been a year on the road this June. As a writer, I’m happily embracing the nomadic life and work style. DR is the place I’m semi-settling into for a time and have just rented my first apt. for a few months likely. Next I head to Mexico and start threading my way down thru Central and South America. Love your tips and posts – they’re very helpful for my future. There is a whole community of us here – which hasn’t been so great for me to practice Spanish. :) Kite Beach attracts kite surfers from around the world so great place to meet new people. Prices are not unlike your article above. Feel free to find me on FB – I have a personal and author page. It’s funny that we are both posting our San Pancho cost of living post this week! Ours comes out tomorrow and we spent $550 a month per person. It helped that our lovely casita is only $400 and as a couple accommodation works out cheaper. Loved this read! My husband and I are preparing to ditch the conventional life here in the States soon. After an RTW trip, we would like to plant it somewhere for a while and just enjoy a less hectic life. 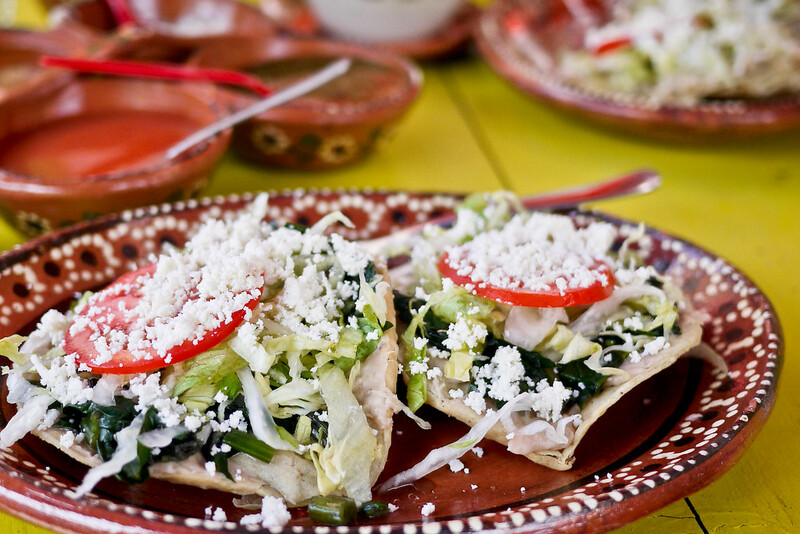 Mexico is high on our list – so this is super helpful. Thanks! Glad you liked it — I think after your RTW it could be a great stop, though you may also find a town you love in your travels too :) When do you head out? I love budget posts! Thank you so much for sharing Shannon! I traveled through Mexico three of the last four summers; sometimes with teens and this last time with my Brazilian wife and a young dog. These prices are avail. for living in Mexico most places and even in Puerto Vallarta where we frequent; however, you have to be on the edge of the town or in Mexican neighborhoods for some of the lower prices, but it’s more knowing how to fit in and find things. It’s best during summers to find good deals off season and maybe make your long term deals during the off season when it’s easier to find places at good prices and more places can be avail., too. I felt it’s worth a bit more to be near centro since services and security are better for tourists and convenience is certainly worth an extra hundred per mo., etc. Overall, Mexico is a wonderful place and you often find you have a better, more natural diet and lots more exercise enjoying walking and experiencing delightful cultural flavor in your daily activities. I highly recommend that you have a “home” neighborhood and branch out to visit other communities – it was convenient for us because we always have our own car. Awesome post. I’ve lived in SE Asia for a number of years. Funny enough, I currently reside in Chiang Mai. Asia holds great appeal for me but I sometimes consider alternatives. Thank you for sharing.